MCM London... lots to think about. 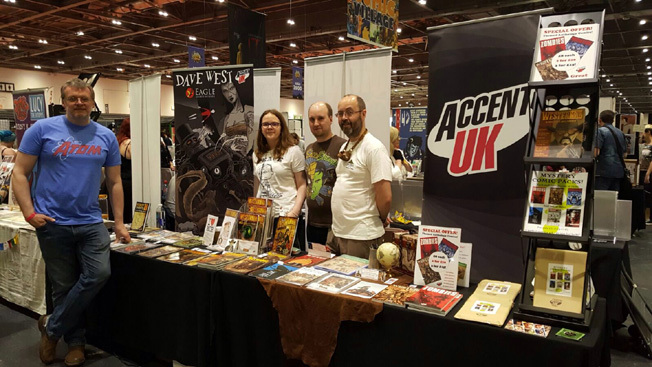 It was another busy weekend for Independent Comic creators across the land as they descended on London for the first of this year's London MCM events. We were fortunate to get two tables, as we have too much stock to squeeze onto one, and as always I was stunned by the quality of work on offer to those people who would wander through the Comic Village, whether it be on a mission to get to a particular publisher / creator or wondering what on earth the Comic Village was all about. For us the MCM events are where we shift most of our comics these days. Diamond Distribution are proving more and more difficult to navigate and it's almost impossible dealing with stores direct, apart from those in your local area. There has actually been a lot of talk on the web at the moment about events, and MCM events in particular. Jon Lock over at Afterlife-inc.com and Joe Glass over at Bleedingcool.com both talk about the diminishing market that we are experiencing. Yep, making your own comics is tough. Getting them into people's hands is even tougher. We have also experienced a dip in sales this year. Last year for us was our best ever, by some way, and this year we are back to 2015 figures. Is it a slump due to the uncertain times we live in ? Is it due to the large areas of space that effected footfall flow over the three days ? Is it because some Independent publishers had too many tables ? We had decent sales over the weekend. We expected to do about two thirds of last year and that is pretty much how we did. The MCM events are not like Thought Bubble. At Thought Bubble it's all about returning customers. People who turn up every year and know what they want to pick up. MCM we've found is always about new customers. Sure we get those who return, and sometimes in a happily large number, but this is very patchy and unpredictable. 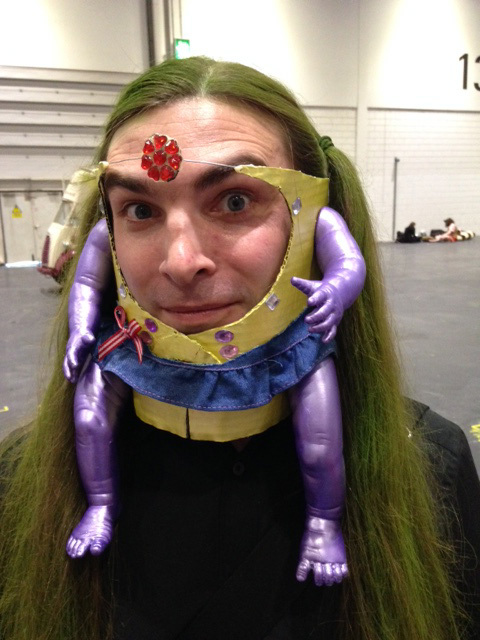 I don't think many, if any, of the people who go to the MCM events are pure comic fans. A good percentage are interested of course, but most are there for the spectacle and to spend money on 'stuff', whether that's comics, t-shirts or a signature from their favourite member of Firefly (yep ... she was there). So, all the potential customers are people who are wandering through the Comic Village looking to pick up something that catches their eye, peaks their interest. To me it's a matter of your product and simple mathematics. If your books don't interest them then they won't buy them. The more competition there is the less of your books you'll sell. The more competition there is the more these potential new customers will be spent up by the time they reach you. What annoyed me more than anything this year was the lack of ethics of some of the other publishers. 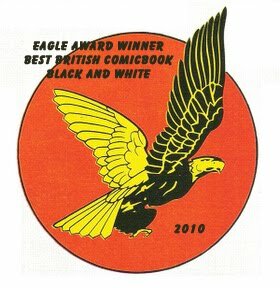 I walked past one publisher (who had a good number of stalls) to be told that the writer was better than Alan Moore ... I was told (when asked what comics I read) that there was WesterNoir in their books. Basically they were lying. Telling you what they needed you to hear, so that if you weren't that knowledgeable about comics in general you;d be convinced that this was what you were looking for. Whatever it was you were looking for. And from the count of comics sold, they were pretty successful at it. The bottom line is that the more books these guys sold, the less money the customers had for any other books. Steve Tanner, of TimeBomb comics, sold boxes of his new Flintlock books because he's hit on something that appeals to the people who wander past his stall. He doesn't have to pretend his writing is better than Alan Moore. The characters and the artwork, and what Steve says about them, are sufficient. Unlike the aforementioned publisher, Steve can be honest because his books are good enough to interest people on their own merit. I got a photo with him anyway. Jon Lock in his article (link above) talks about the price being a possible driving force. He suggests we all get together and agree a standard price. Sorry Jon, that's probably illegal as we live in a free market and competition is what it's all about. That said, our books are typically cheaper than Steve's but he probably sold more of his over the weekend than we did of ours. Not because of the price, but because his concept / product is more attractive to the MCM customer. As to Fan Art ... I'm not a big fan (excuse the pun). It's also something that is illegal as the people producing it have not paid the owning company for the right to do so. I'm fine with artists selling their own paintings of elves and werewolves, but Wolverine ? Sorry. That's illegal. There's always a danger than one day Disney will turn up and shut the whole show down due to copyright infringement. Hopefully they'd do it in an imaginative way though ... get someone Cosplaying Kingpin to bring the Desist papers. There's a healthy mix of genres of independent comics. Publishers / creators are honest. There's a healthy proportion of comics / artists selling their own work. There is no Fan art. The prices vary as much as the publishers want them to. The customers will then decide what they want to buy and will do so. I guess immortality does that for you. Colin and I are actually creators too. We need, we realised, to re-establish our own names within the Accent UK brand and help bring out the fact that we've written almost all of the comics on the table, and drawn some of them too. So, what better way of doing this then to retire some of our banners and produce some new ones that highlight this fact. I turned to Andy Bloor of course to help me pull mine together. What to put on it though ? I wanted Stephenson's Robot, Josiah Black, Jigsaw Girl, something from Strange Times ... hmmm ... that should do it. I routed through my comic files and sent samples off to Andy for him to work his magic on. Sorting out suitable images ... images that showed enough .. images where the character wasn't cut in two by a panel or some other character ... not easy. I had to use Gary Crutchley's Jigsaw Girl for example as I couldn't find one by INDIO! that fitted what I had in mind. Andy thought it too distracting and I found that I had to agree. I also asked Andy if he could make Kingdom's smoke fade into The Leyton Angel's wing, which might look nice. What Andy did though was to fill the space with Eddie Doyle, which seemed only appropriate as it was the comic with him in it that won the Eagle Award. I like this one a lot, so I sent it to Colin and Gary for feedback. Gary, rightly, pointed out that saying I was 'Artist' implied that I'd drawn all of the images on the banner, not that he had a problem with it himself. Whilst I'd love that to be the case I didn't want to mislead anyone, and more importantly I didn't want to face people asking me to draw Kingdom (Stephenson's Robot) just like on the banner. I decided it would be best to change it. Also, I was concerned that my name, being half way down the banner, would be obstructed by people standing behind the table, and so asked Andy to move it to the top. The result still has me smiling.